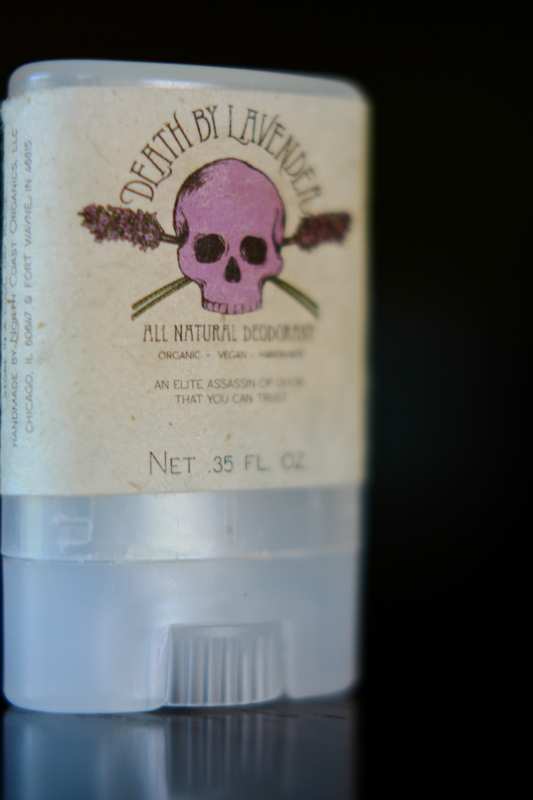 Northcoast Organics Deodorant Review…and Giveaway! I didn’t waste anytime putting this through the ringer. I wore it out for a 2+ hour run the morning after I got it in the mail. It didn’t completely stop me from sweating (it is not an antiperspirant! ), but it did leave me smelling better than I usually do, which I thought was pretty impressive. I came home, showered, and applied more. It was in the 70s outside, and despite giving Arlo a long walk I still smelled good afterwards. 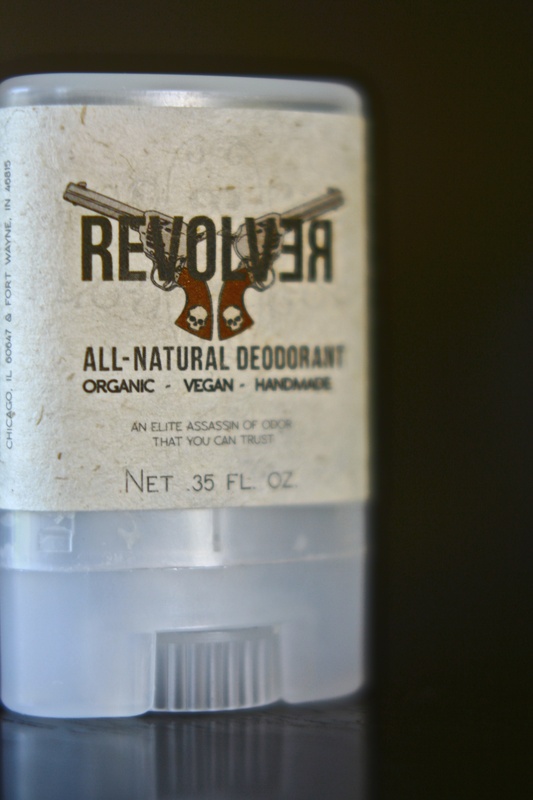 The next test was to wear some to work the following day: I came home still smelling of Revolver (though admittedly I was a bit stinky—the fate of a barista), which, again, is pretty impressive. After a week of wearing it I must say I am really impressed with this deodorant. It holds up very well to my level of sweating, which is pretty high. While it does not stop sweating, it did make my pits feel soft and seemed to dry a little bit of the moisture. The smell is subtle but not overwhelming (I believe it has cypress, cedarwood, and clary sage); and it seems to become a tad more noticeable as it heats up (though that could be a trick of the nose ;-)). Some additional “pluses”: the container is recyclable; the labels were printed with vegan ink and made from 100% Tree Free/Fair Trade Paper; and all of the shipping packaging was eco-friendly (recyclable and biodegradable). How great is that! This is a great product from a wonderful company. I will definately be picking up a full size stick as soon as I can. Most of the days I wore this I was working on setting up my classroom for the new school year. I was doing all kinds of busy things in an 80 degree school with no AC. Even though this isn’t an “antiperspirant”, it really did keep sweat at bay which pleasantly surprised me! Wait… pleasantly is an understatement… finding a vegan deodrant that also seems to keep your underarms dry, a battle I considered lost until now! One day I did walk/run Arlo on the rail-trail and I did perspire and smell a little after the workout, but that, in my opinion, would have happened with any deodorant or antiperspirant. So, would I buy it- YES! Do I think it is an “elite assassin of odor that I can trust”- YES! Was I over the moon at the feel of it- Yes! Was I surprised at how good it eliminated odor- You Bet! It’s best feature?? – That it almost works as an antiperspirant. I don’t know if it’s the cornstarch or baking soda but this is the first time i felt a vegan deodorant actually kept me decently dry! Well done! the one CON: I don’t know what it is about vegan that screams… lavender… or for that matter, sandalwood, eucalyptus, pachouli, and tea tree. I feel that these scents are the only “vegan” scents out there. Now don’t get me wrong I actually love lavender, but I wish North Coast Organics had more scent choices. I am not… for lack of a better word (sorry) a “hippy”-ish vegan. I am more of a…. lipstick vegan, girly vegan, floral and citrus/fruit scent-ish vegan. North Coast Organics, please make more scents, then I will surly be a customer for life! Ok, so North Coast Organics (NCO) was kind enough to sponsor a giveaway. To enter, all you have to do is click on the link below! When the new page opens up either sign into the widget via Facebook or with your email address. Then either (1) like North Coast Organics on Facebook or (2) follow them on Twitter. 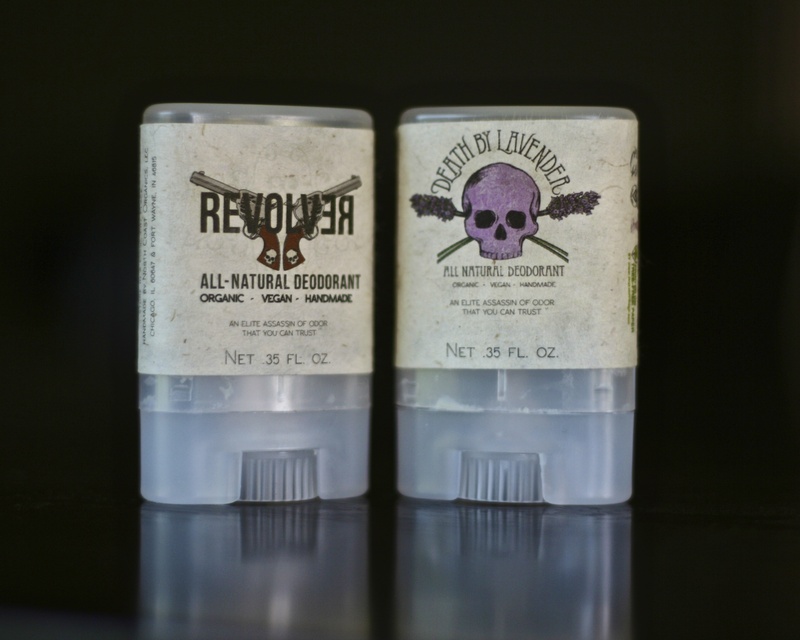 After the giveaway ends I’ll contact 2 winners who will each get 2 NCO travel-size deodorants (one Revolver and one Death by Lavender). If you win, when I contact you all you have to do is give me your shipping info and I will relay it to North Coast Organics who will then ship out your deodorants. That’s it. Thanks for reading and good luck! Lastly, I want to thank Stephanie from North Coast Organics for getting in touch with us. We really appreciate her considering asking us to do this review. Apropos of that, you should know that we were given free samples to try and we were told to give an open and honest review of them. That is what we did. Great web site you have here.. It’s difficult to find high quality writing like yours nowadays. I seriously appreciate individuals like you! Take care!! Thanks Sammi, that is incredible kind 🙂 we hope you keep reading! Sure thing! Honored to do it. I recently purchased their naked deo (which is a sensitive one). On a whim and am really impressed! I would like to try one of the others, but I worry they will irritate my pits when I sweat. I also COMPLETELY agree with your scent complaint when it comes to natural products. GIVE ME FRESH OR FRUITY OR SWEET. Why always lavender, tea tree and sandalwood?